diameter, below which two balconied upper floors circle the central enclave. The Arcade had the latest innovations, including elevators, a power plant and a cold storage plant. The most notable building, which fronts on Third Street, is of Flemish design and is said to be patterned after a guild hall in Amsterdam, the Netherlands. It looks like typical old Dutch architecture. The Fourth Street and Ludlow Street facades are done in Italian Renaissance Revival with the Commercial Building anchoring the corner of the lot. The most interesting architectural feature is the great dome. The classic detailing usually found in such rotundas was replaced by detailing representative of Ohio. The cornucopias are filled with fruits and vegetables from Ohio. There are festoons of oak leaves with acorns, ram heads and garlands of grain. At each framing member of the dome are colorful turkeys. assorted luxury items available in or out of season. In the late 1970's, investors began planning and implementing a major restoration of the Arcade. 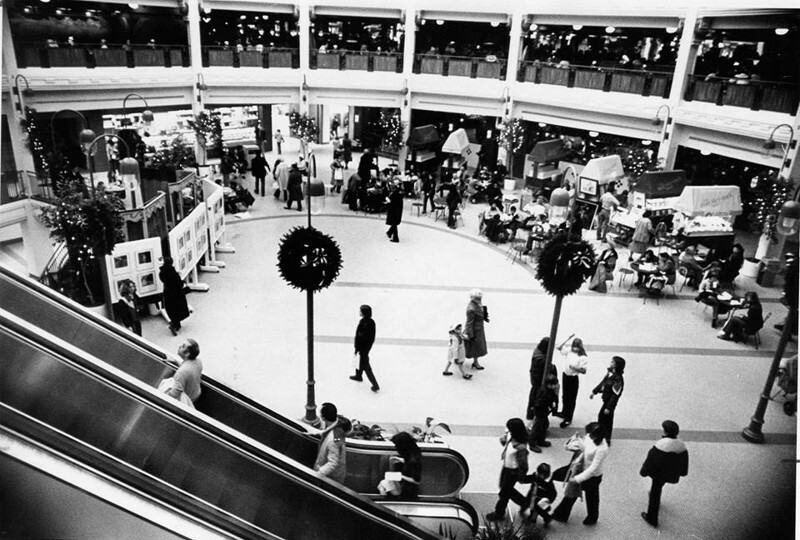 In May 1980, the newly refurbished Arcade was reopened as a retail shopping and food center. In its new guise as Arcade Square, the center offered a lively collection of boutique stores, restaurants, stores offering staples, kitchen apparel, books, and luggage . The Dayton Philharmonic, among other offerings, performed to holiday crowds from the vast floor below the Arcade rotunda. Given the general decline of retail activity and volume within the central business district, financial success gradually eluded Arcade Square and it was closed to the public in 1990. Its final tenants still included its famous Arcade Seafood store and the last traditional dime store to operate in Downtown Dayton - McCrory's -- both of which remained open for a time after the closure of the Arcade Square public spaces themselves.